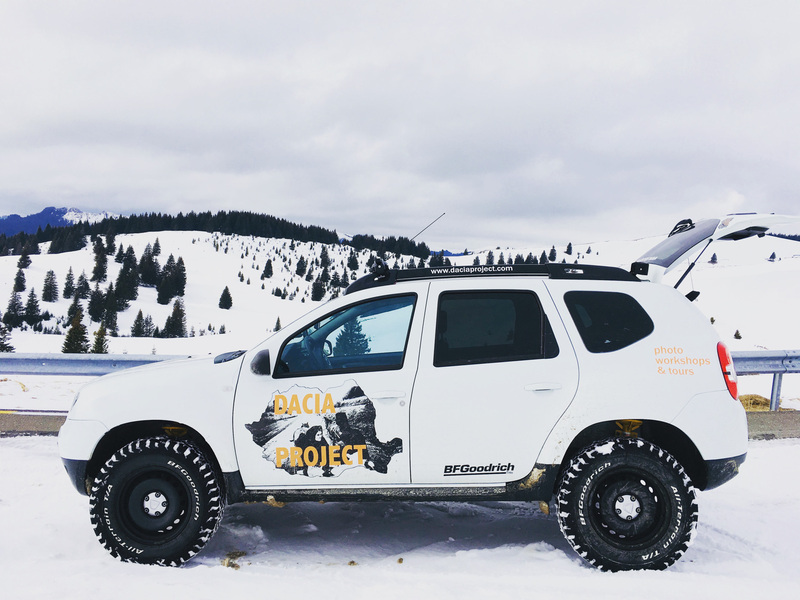 With my 2015 Dacia Duster Diesel 4x4 in the Bucegi Mountains of Romania on 2 February 2018. It's equipped with BF Goodrich K02 All Terrain tires sized 225/75 R16, ET 40 offset steel rims, Bilstein 5 cm lifted suspension, a German race chip, full under body steel Teroson coated skid plates, a 4500 lb Warrior Winch with wireless remote, Maxtrax recovery boards, a 28 inch 180 watt LED light bar, rear 20 watt LED camping lights, 15% rear windows tinting, Front Runner interior gear boxes, a Brunner folding camping chair, a Brunner table and a Coleman camping stove. A Thule ski box for nordic skis and gear is my next planned addition.